The following is PART II (see Part I here) of our brief Model Railway summary of the annual Nuremberg Spielwarmesse or Toyfair held each year in the famous toy city, Nuremberg, Germany. Here manufacturers from all over Europe and Asia gather to display their new product offerings and invite dealers from all over the world to come view and of course place their orders. The event helps factories get an indication of what will be popular and what will not be so popular thereby, giving them the opportunity to adjust their production quotas. This in turn, gives dealers first hand information on assisting them with their Toyfair Orders. In the Model Train Pavilion, many of the manufacturers come with special surprises for dealers, (New Items not announced on the Internet), usually very limited and available only to those in attendance. A welcome change on this year’s Fleischmann/Roco presentation was that each company had a beautiful operating layout. A N Scale Piccolo layout from Fleischmann and a HO layout from Roco. As most will have gathered, there was a glaring loss to the Fleischmann New Items line-up for this year and that is, no HO items we’re presented. This is the strategy of the parent company, Modelleisenbahn München Gmbh. where the continual decline in Fleischmann HO Sales led to the decision to move the HO product line into the Roco HO program and alow Fleischmann to focus in N Scale. No different when Roco abandoned a separate Roco program for their N Scale and moved what they had into the Fleischmann N Scale program. Many Fleischmann followers will recognize former Fleischmann products under the Roco HO brand now. Management assured us that the Fleischmann track program, etc. will remain, at least for the time being. As for the balance of models in Fleischmann packaging, these will continue to sell under Fleischmann until stock supplies are finally exhausted. So, lets begin with the Fleischmann N Scale new items for this year. As always, please remember that Roco and Fleischmann produce most items in single production runs only. This means that many popular items will be sold out at the factory by the time they are shipped to retailers and we may not be able to special order them at a later date. We try to bring extra stock in for the top selling items but with the size of the Roco & Fleischmann new items program we cannot order extra store stock for every new item. If there is a product you have your heart set on, please pre-order soon, not only to guarantee availability but also to ensure you get the lowest price. Fleischmann offers new tooling in the form of the classic DB BR 44’s and in their DCC Sound versions, featuring the Henning Sound System. Brilliant clarity of sound. The DB Era IV version is offered with a coal tender, 5 pole motor, drive on 4 wheels with traction tires, Driver Cab’s Roof with windows. Unobstructed view between boiler and chassis. The analog version is found under stock # 714401 and the DCC w/Sound version under stock # 714471. There is also a DR version with oil tender. The analog version is found under stock # 714402 and the DCC w/Sound version under stock # 714472. These should prove to be impressive models. Be sure to pre-order yours soon to be part of the first releases. The DB Diesel Cl 210 with gas turbine is also new construction. These we’re originally V160 diesels but we’re converted in the early seventies to gas turbine, thus the CL 210. They we’re daily haulers of express trains like the TEE Bavaria. The analog version is found under stock # 724210 and the DCC w/Sound version under stock # 724290. The DCC sound version will also feature Henning Sound. The classic DR Diesel Cl 118 is also new construction for Fleischmann this year. These had a very short life span and we’re subsequently disassembled and then re-made into the V 180 series Diesels. These were the largest diesel locomotives ever built in the GDR. The CL 118 analog version is found under stock # 721301 and the DCC w/Sound version under stock # 721371. The DCC sound version will also feature Henning Sound. The DCC sound version will also feature Henning Sound; 5 pole motors and interior driver’s cab lighting. The V 180 CL 228 analog version is found under stock # 721402 and the DCC w/Sound version under stock # 721472. Fleischmann offers new wagon tooling in the form of the Sliding tarpaulin wagon Rils. These will be finely detailed with freestanding handles and rectangle buffers. The Era V DB Cargo version is found under stock # 837703. An SBB version is offered under stock # 837702. A SNCF version is offered under stock # 837704. A FS version is offered under stock # 837705. A high capacity sliding wall wagon type Habbillns is being done in a highly detailed model in several versions. The first version is an Era VI OBB found under stock # 838314. An SBB Cargo version if offered under stock # 838311. A SBB Postal version is offered under stock # 838312. An FS version is found under stock # 838313. The very successful Pocket Wagons are now offered separately as a type T3. A AAE DB Schenker version under stock # 825050; a AAE LKW Walter version under stock # 825051 and finally a AAE RINNEN version under stock # 825054. This year marks the 175 year Anniversary of the Royal Bavarian State Railways, (K.Bay.St.B.). Fleischmann is offering there ever popular Pt 2/3 locomotives with a number of special cars and one very attractive car set. The analog version of the locomotive is found under stock # 707005 and the DCC version is found under stock # 709903. Anniversary freight cars are offered under stock # 822301; 823606; 835705; 826003 w/Cattle and finally, the passenger freight version is offered under stock # 809003. Make sure to reserve yours now as they will sell out quickly. Last item to note is for the first time the DB cl 194 Electric locomotive is coming out with Sound in a Z21 Starter Set with 4 stake cars loaded w/lumber. This is a fantastic way (and a great deal!) to upgrade or get a family member or friend involved in a great Starter Set, stock # 931886. In summary, Fleischmann is offering a lot of new tooling in all areas and of course, is offering many more items under very popular versions. 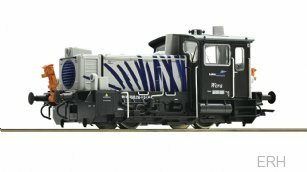 Roco is offering the OBB cl 2062 Diesel Locomotive. This will feature their new electric uncoupling system, richly detailed plug in parts, freestanding handles and true to original lights. The DCC w/Sound version is found under stock # 72001 and the Marklin AC Digital w/Sound version is under stock # 78001. The DB cl 333 Kof diesel locomotives are offered in 2 versions. They will feature their new electric uncoupling system, richly detailed plug in parts, freestanding handles and true to original lights. The DCC w/Sound version is found under stock # 72016 and the Marklin AC Digital w/Sound version is under stock # 78016. The DB cl 333 716 Kof diesel locomotive is quite unique in that it will have not only the new electric uncoupling but the real life version of a special hydraulic coupler above it. The DCC w/Sound version is found under stock # 72018 and the Marklin AC Digital w/Sound version is under stock # 78018. The SNCF Y 8000 Diesel Locomotive will feature their new electric uncoupling system, richly detailed plug in parts, freestanding handles and true to original lights. The DCC w/Sound version is found under stock # 72009 and the Marklin AC Digital w/Sound version is under stock # 78009. The NS Sik Diesel Locomotive will feature their new electric uncoupling system, richly detailed plug in parts, freestanding handles and true to original lights. The DCC w/Sound version is found under stock # 72012 and the Marklin AC Digital w/Sound version is under stock # 78012. Several New Passenger Coaches for the DR are being produced each with true to original interior furnishing, luggage furnishings and a Mitropa Dining Car. These coaches will be found under stocking #’s; 74800; 74801; 74803; 74804; 74805 and 74806. The very successful Pocket Wagons are now offered separately as a type T3. A AAE DB Schenker version under stock # 76220; a AAE LKW Walter version under stock # 76221; a DSB transped combiservice version under stock # 76223; a AAE RINNEN version under stock # 76225; and finally, a AAE WETRON version under stock # 76232. This year marks the 175 year Anniversary of the Royal Bavarian State Railways, (K.Bay.St.B.). Roco is as well offering there ever popular Pt 2/3 locomotives with a number of special cars and one very attractive car set. The analog version of the locomotive is found under stock # 73052; the DCC w/Sound version is found under stock # 73053 and the Marklin AC Digital w/Sound version is under stock # 79053. The Anniversary 3 piece freight car set is offered under stock # 76094 and additional stake car w/wooden barrel load under stock # 76774. The passenger coaches are offered separately under stock # 74900; 74901; 74902. 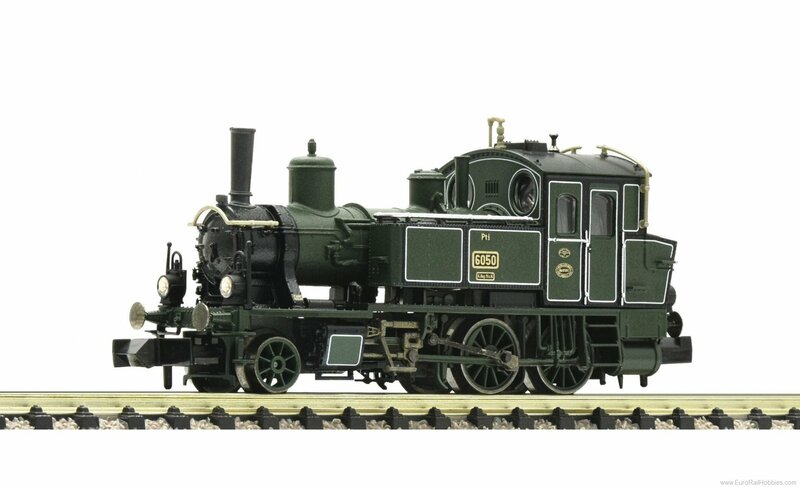 As an added bonus, Roco is offering there S 3/6 Steam Locomotive together with the “Prinzregenten” Coach in 3 versions. The highly detailed Saloon Car is delicately printed and finely furnished. The analog version of the locomotive is found under stock # 61471; the DCC w/Sound version is found under stock # 61472 and the Marklin AC Digital w/Sound version is under stock # 61473. These versions always sell out quickly so reserve yours now to avoid disappointment and of course higher prices. The Austrian “Orient Express” is being offered with the OBB cl 1020 Electric locomotive and 4 piece coach set. The analog version of this set is found under stock # 61468; the DCC w/Sound version is found under stock # 61469 and the Marklin AC Digital w/Sound version is under stock # 61470. Roco is offering the Czech Railways (CD) Railjet as a new variant. The Cab-Control Coach will have a new window layout and all coaches will have precise interior furnishings. The analog version of this locomotive is found under stock # 73218; the DCC w/Sound version is found under stock # 73219 and the Marklin AC Digital w/Sound version is under stock # 79219. The respective 4-piece coach set will be found under analog stock # 74142; DCC w/LED Lighting under 74143 and the Marklin AC Digital version w/LED Lighting under stock # 74144. The respective 3-piece coach set will be found under analog stock # 74139; DCC w/LED Lighting under 74140 and the Marklin AC Digital version w/LED Lighting under stock # 74141. These sets are extremely limited so if you are even thinking about one, order yours’s today and avoid disappointment. Lastly, this is the 500-year anniversary of Leonardo da Vinci and Roco is honouring the occasion by doing a specially designed 1216 Railjet Taurus locomotive. This locomotive will be running between Austria, Germany and into Italy starting in the Spring of 2019. The final design will not be released until then, but based on previous art depicted anniversary models, it is sure to be a pleaser and definitely a highly sought after collectible. The analog version of this locomotive is found under stock # 73484; the DCC w/Sound version is found under stock # 73485 and the Marklin AC Digital w/Sound version is under stock # 79485. That concludes our Fleischmann/Roco presentation. Stay tuned for part III covering Brawa and more.